Apple’s 4th generation iPhone HD/iPhone 4G could be set to launch with a print magazine quality 960×640 in-plane switching (IPS), fringe-field switching (FFS) display, and a beefy 512MB of RAM according to analyst Ming-Chi Kuo the in hit-and-miss industry trade, Digitimes. iPad, FFS in HTC’s Legend, and they help increase viewing angles and display quality. Resolution and technology would combine to make iBooks on iPhone the most high density, high quality type experience yet. Further, they report Apple will stick with the ARM Cortex A8 currently found in the iPhone 3GS and iPad A4 SoC, not the multicore Cortex A9, but they’ll be doubling the RAM to 512MB which should be especially useful for the new multitasking API found in iPhone OS 4. Oh, and Foxconn will ship 24 million of them starting in June. 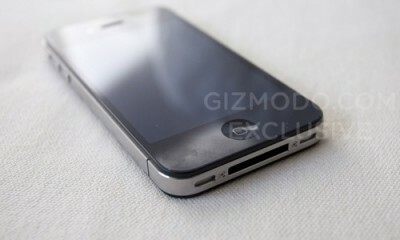 Posted in Gadget, iPhone and tagged iphone 4g. Bookmark the permalink.